Obverse description: Pearl diadem, dr and cuirassed right. A Roman copper alloy nummus of Constans (337-350 AD). DN CONSTA.NS P F AVG reverse type. 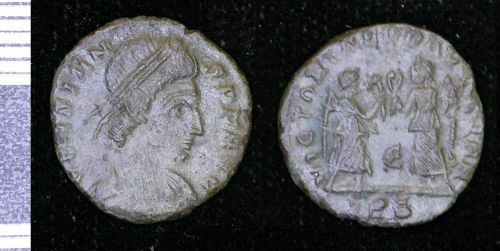 Minted in Rome, 348-350 AD.